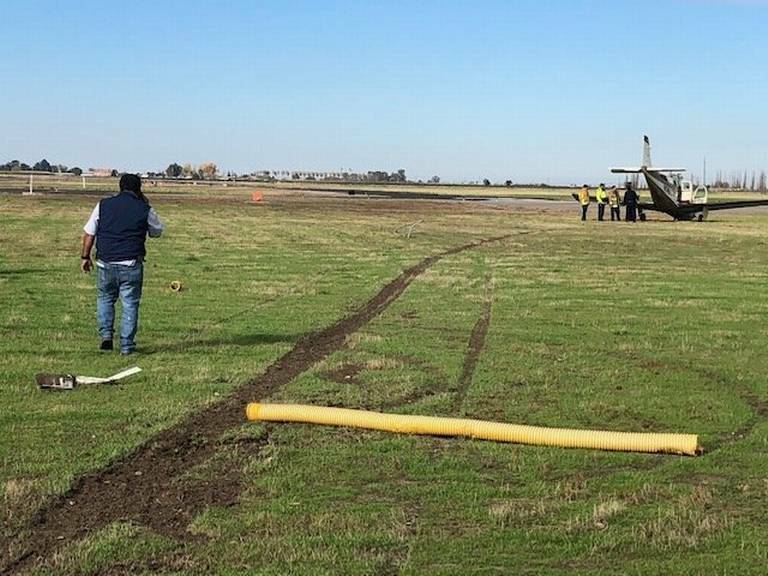 A San Jose man escaped injury after his plane crash-landed at Los Banos Airport in Merced County on Thursday, according to authorities. Los Banos Police and fire responded the airport around 12:36 p.m., after a licensed pilot out of San Jose experienced a power failure and crash-landed a single-engine airplane, according to Cmdr. Ray Reyna. 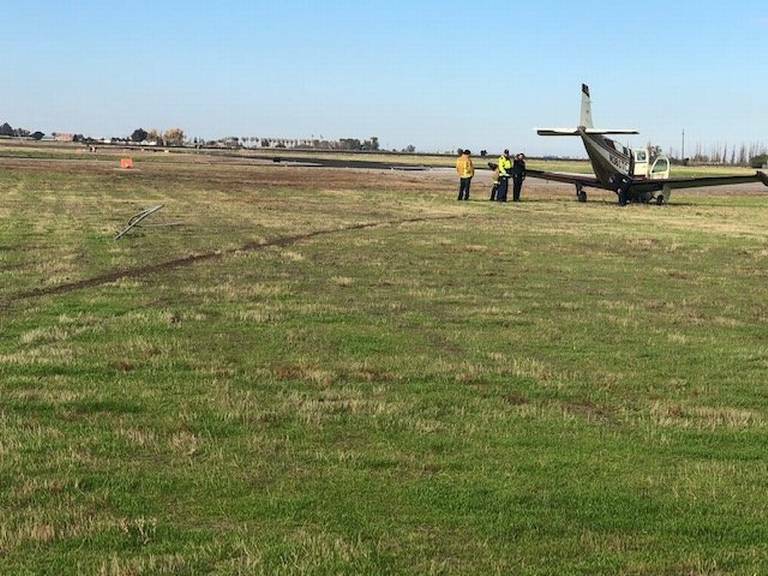 Reyna said the pilot narrowly missed trees located south of Highway 152 as he approached the runway. 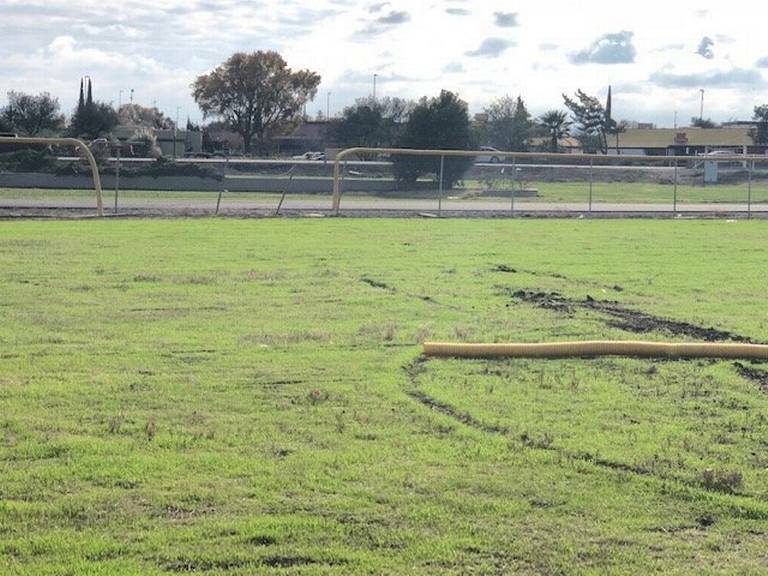 The airplane’s front landing gear collided with a fence bordering the south side of the airport and crash-landed in a grass area sliding several hundred feet before coming to a rest short of the runway, Reyna said. Authorities said no other aircraft were involved in the crash and there were no other passengers on board the plane. Los Banos Police have been in contact with the Federal Aviation Administration and the National Transportation Safety Board following the crash. 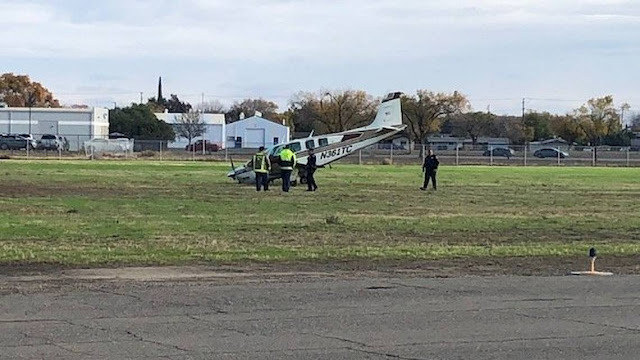 Reyna said police received authorization from the National Transportation Safety Board to move the aircraft and store it until National Transportation Safety Board personnel can inspect the plane and speak with the pilot. The airport and runway closed for about one to two hours while police and fire responded to the scene. Neither drugs nor alcohol appear to be a factor in the crash, according to police.